LATHAM — There is a plaque on Route 2, right in front of the old K-Mart building, resting in a bed of green, luscious grass, that commemorates the death of a 25-year-old man who should have lived beyond Dec. 10, 1994. 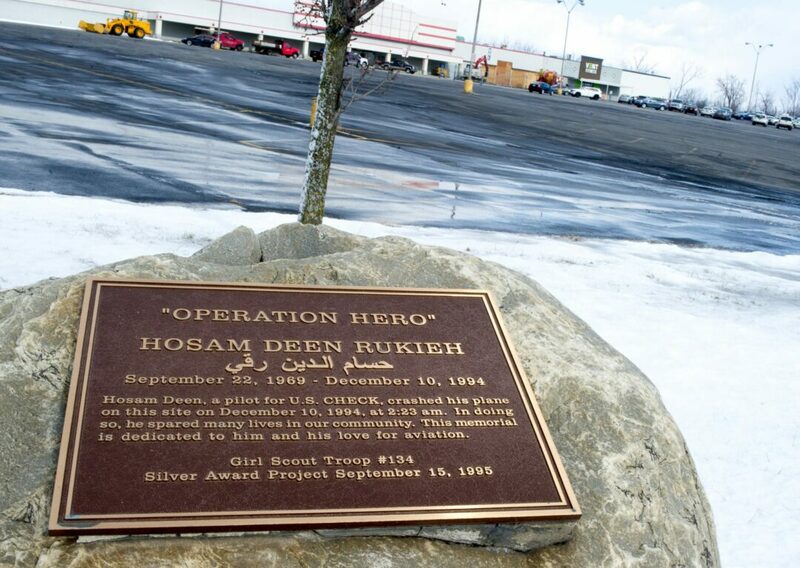 Hosam “Sam” Rukieh, an Ohio native, was flying from Boston to Buffalo on that chilly December day. His twin-engine prop cargo plane, an empty Starcheck Flight 221, crashed at approximately 2:23 a.m. on a freezing, overcast night. Rukieh was killed instantly; he was alone in the aircraft and no one surrounding the impact site was injured. The crash left a six-foot crater in the ground; a gas main was broke and caused a blaze, with flames reaching 30 feet high, to burn for several hours. The crash knocked out power to hundreds of surrounding homes and closed the road until mid-afternoon that day. 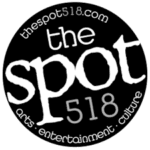 Tom Murnane reported on the accident for Spotlight News the day after the collision. Murnane drove to the scene but was not able to get close to the crash site. “I remember it being a chilly, cold day,” Murnane said. “I heard about the crash once I arrived at the office. Some residents saw the crash, commenting the plane seemed to be struggling for power in its final moments, before exploding into a fireball and thick cloud of smoke when it hit. Murnane remembers then Colonie Police Lt. Steven Heider telling reporters, “There’s nothing left here that looks like a plane.” Police spent the rest of the weekend scouting the surrounding area and cleaning up the small debris and body parts that had been launched over 100 yards from the impact site. Then-Albany County Coroner Timothy Cavanaugh was unavailable for comment as Murnane’s story went to print. Cavanaugh did say there were not enough remains for an autopsy, however remains were given to federal aviation investigators to determine if there was anything unusual in Rukieh’s blood. The young pilot had accumulated 37.5 hours in the air and 66 hours of duty that week, according to the report. Rukieh lost control of his aircraft due to fatigue. The root of the crash lies in that fact. That being said, control of the aircraft is the number one concern for any pilot, Roger Shapiro, a commercial and military-trained pilot, said. Shapiro continued his training for emergencies can be summarized in three words: aviate, navigate and communicate. On Sept. 15, 1995, the memorial was unveiled and opened. The troop leader, Joan Slish, said the results of the official report does not change the troop’s wish to memorialize Rukieh. “The fact remains that a 25-year-old died in our community and took no one else with him,” Slish said at the time. Rukieh left behind a fiancee. The woman, Emily Merritt, said at the time the troop’s kindness and generosity was special to her. “It made me feel very happy and proud that they are thinking of him,” Merritt said at the time. Rukieh has now been gone almost as long as he was alive. The memorial has aged and weathered, almost 24 years old. However, the plaque still stands out against the nature surrounding it; a stark reminder of a young life cut short.